With the government deciding to go ahead with an appeal in the case against the legal opinion of the Attorney General, yet another constitutional institution had been weakened, he alleged. Congress leader and former law minister Ashwani Kumar has alleged that the CBI’s decision to move the Supreme Court in the Bofors case was “politically motivated” and a “gross act of malice”, and held that the matter will be decided in the “peoples’ court”. “The politically-motivated decision of the government is a gross act of malice. The question that begs itself is whether this is a case of lawful prosecution or political persecution. The matter will finally be decided in the peoples’ court,” he said in a statement. The former law minister said the decision of the CBI to move court in the Bofors case was an “unprecedented negation” of the “sanctity of the considered legal opinion” of the Attorney General. “Yet another constitutional institution stands weakened,” he said. The move, he said, was a “brazen infraction of judicial norms” and the settled principle of jurisprudence that criminal prosecution must not be allowed to go on endlessly and that there should be a finality to litigation. The law of limitation cited by the Attorney General in support of his opinion was based on this principle, he noted. “The reason given for reopening a case 12 years after the High Court decision is utterly untenable,” Kumar said, adding that the “ex-facie self serving statement” by a foreign private detective to a TV channel could not displace the voluminous record of investigation and the well considered judicial verdict in the matter. Michael Hershmam, president of the US-based private detective firm Fairfax, had alleged in a television interview last year that the Rajiv Gandhi-led Congress government had sabotaged his investigation into the case. 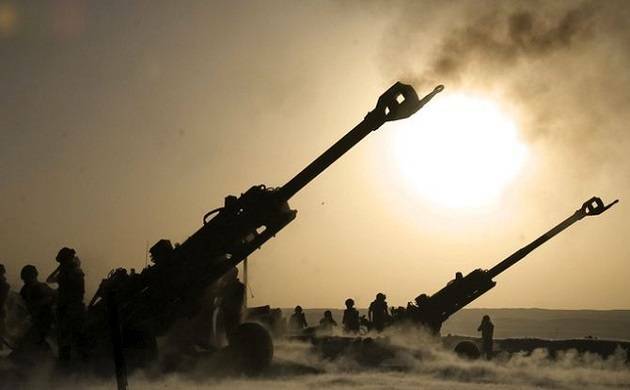 The CBI had on Friday filed a petition in the Supreme Court challenging the 2005 order of the Delhi High Court quashing all charges against those accused in the Bofors pay-off case. Sources had said the CBI in its appeal stated that a further investigation was necessary in view of reports relating to Hershman’s interview.